After a few decades recording, producing and writing, John Penny's CD release is long overdue. Urban Tumble captures the eclectic appeal of this virtuosic guitarist/composer along the arc of his creative development in the 80s and 90s, through wide-ranging collaborations with the likes of Mary Louise Knutson and Yohannes Tona, as well as beloved late icons on the Twin Cities scene-- Gene Adams and Bobby Peterson. And the best news is that this is just the first of a series, taking John's prolific career out of the vault and into the public ear. Like many teens of the 60s, young John Penny found outlets for his music in area jazz and rock bands. 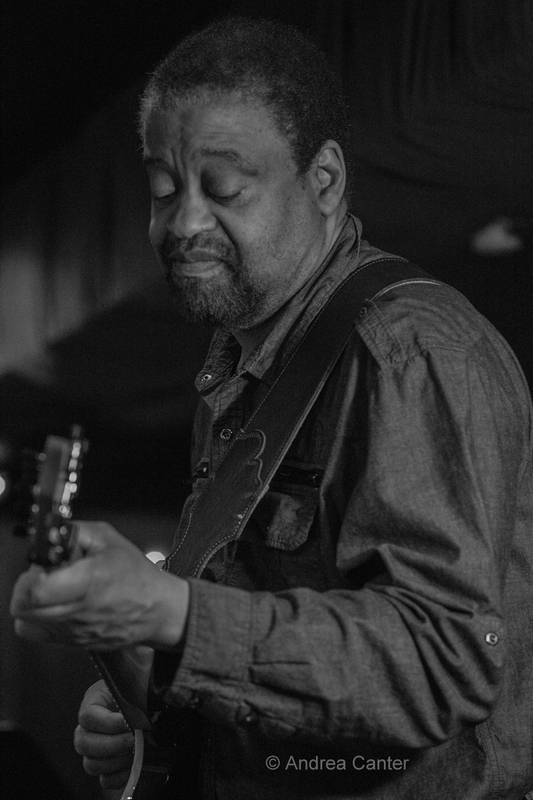 While earning a degree in music at the University of Iowa, he received special permission to create and teach a course in Jazz History. In the mid-70s, Penny moved to Minneapolis where he played in the band Solstice with Bruce Henry and David Wright; worked with Jack McDuff, Benard Purdie, Bobby Lyle, Howard Levy, Rob Paparozzi, and Mike Turk; played in the group Kaminari with Eric Kamau Gravatt and Ron Evaniuk; and conducted clinics with New York trombonist Bill Watrous. Family obligations ultimately pushed John into day jobs, scoring hundreds of TV commercials and films and overdubbing productions. His resumé includes film editing work for Louie Anderson, Mel Ferrar, James Whitmore, John Jenkens, and Chris Mulky; soundtrack editing for the Science Museum of Minnesota (Faces of Japan); and scoring commercials for Dayton’s, Best Buy, the Minnesota Twins and more. And even when gigs were few and far between, Penny was composing. 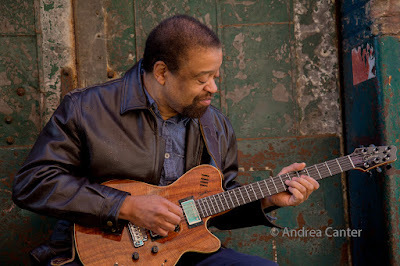 He wrote the title tune and handled recording and editing for the movie, Patti Rocks, and produced, composed music and performed on the late Gene Adams’ A Lifetime of Jazz. Four decades into his career and able to devote more time to his music, John reflected on the influences he has absorbed over time. “I have become a folk musician at some level. From Spanish flamenco guitar to the music of Bartok to James Brown’s Famous Flames, I have drawn from various influences ... In my teen days as a ‘jazz player,’ I learned from jazz standards, which give musicians a common group of songs to play with others. I found however that there is nothing else like writing a piece of music that comes from a current space.” Current spaces have included collaborations with Anthony Cox, Jay Epstein, Rey Rivera, Charles Fletcher, Davu Seru, and Pippi Ardennia; writing and performing for the Jazz Noir radio series at KBEM; and appearances at the Twin Cities Jazz Festival as well as Jazz Central Studios, Homewood Studios, the Black Dog and beyond. 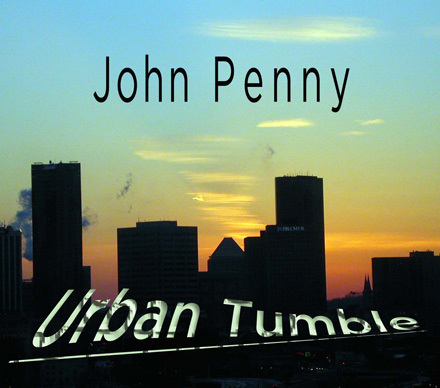 John Penny refers to the compositions of Urban Tumble as his "legacy music." Most of the eight tracks come from his fertile composing period of the 1990s (one tune dates back to the early 80s), when his main focus was music for films; yet production and mixing waited until 2014-2015. "Future releases will move through a catch-up process to include, and be overtaken by, my current and future compositions," John notes. Each track features one or more of John's collaborators during the 80s and 90s, and he was "honored by the incredible musicians who joined with me over the course of the project," including Mary Louise Knutson and Gregg Inhofer (electric piano), the late Bobby Peterson (electric and upright piano), Enrique Toussaint and Yohannes Tona (bass), the late Gene Adams (trumpet), Sheila Earley (drums), and Jim Kellerman (clay flute, flute and tenor sax). "I take credit for picking great musicians," says John, "but their contributions speak for themselves. They made statements that enhanced transitions, they expressively highlighted my melodic or soloistic movements, they used dynamic motion to add breathe to the passages, and so on... This is what’s magic about music -- they would go to work doing things that magnified the songs in ways I would never have imagined." John explains the long period between conception and final production: "Most of the songs didn’t start with recording sessions as such. They started with me creating a computer file of a song or thematic idea that came to me... At night with the family asleep or on days off from my other jobs, I could get back to the songs for development, or discard the idea...Since keeping guitar chops up to be able to play gigs was a priority over finishing the songs, some days off were only for practicing. That's where the pattern of saving just the song sketches comes from." The dates listed for each composition reflect the initial creation of the computer file, sometimes just the melody or chords, while the recording with live musicians often came much later. Thus the final assemblage of Urban Tumble reflects the evolution of one musician's career over a productive, if underground, period. "Even though I wrote some jazz ballads in the 70s, my thing was epic songs with many changing themes and rhythms," says John. But over time, "my interest in World folk has taken the epic out of the many of my songs. The epic is now reserved for my classical work...What I’m going through can be observed in the careers of many Jazz musicians who get into Jazz fusion. 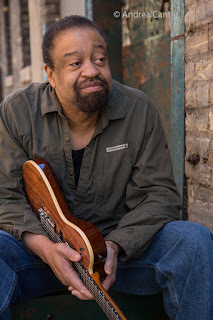 We tend to look at the folk and classic world for inspiration after spending time with the epic...My situation is very different being that folks have not heard my pre-epic, epic, post epic, or return epic output. I want to get a representation of the legacy music out, as I think the history will be relevant to all other music that I hope to get done." Urban Tumble may seem to fall a long way from the recent works we now associate with John Penny-- the world influences, particularly from Brazil; the more edgy "modern jazz" feel of his collaborations with Anthony Cox and Jay Epstein. Yet you can hear the foundation of where John is heading -- from the samba-meets-R&B feel of "Dance the Three (1999, with Mary Louise Knutson on electric piano and Enrique Toussaint on bass) and "Sidetown Walk" (1992, with Gregg Inhofer on electric keys); the bubbling funk of "One Way Back" (1998 with Yohannes Tona on bass); the ambient, soft rock beat of "Another Journey" (1995, with Mary Louise Knutson on electric keys) and the film-ready "Equatis" (1992, with Gene Adams on trumpet and Bobby Peterson on electric and acoustic pianos); the electrified sound experiments of the title track (1991 with Sheila Earley and a computer generated orchestra); the East European glaze of the solo guitar track, "Bela" (1981/2015); and the other-worldly, tribal sounds of the closing "Dr. Walker" (1997 with Jim Kellerman on flutes and sax). The story behind "Béla" is of particular interest, with part of the tune recorded back in 1981, and the rest completed more than 30 years later, and the first of John's experiments with "Bartokian" tuning. "I left a guitar in a back room at the edit house on Hennepin where I worked as sound and film editor, and it fell seriously out of tune," he explains. "Its state at the time became the basis of my Bartokian tuning. Without a tuner, I brought the strings into tolerance with each other (not within Western 12-tone tolerance). The open strings sounded so cool that I set about discovering what chords the tuning could produce. I found textures that reminded me of the music of Béla Bartok, Maurice Ravel, and others... "Béla" is one of only a few of my songs that absolutely made me write it how it wanted to be written." How did "Bela" (originally titled "Tuate" in 1981) end up in two sections so many years apart? "This was before I had a computer music setup, so wanting to capture it as fast a possible, I recorded the rhythm on one channel of a 2-track recorder, and the lead on the other. That unaltered demo is the "Béla" you hear on the CD. I added the classical guitar in 2015 to extend the song length with more solo sections and a return to the theme. The big surprise when I went to add tracks was that the original track was out of tune with the rest of the Western world. All strings, woodwinds, and guitars had to be detuned to match "Béla’s" original unstandardized tuning. I now have tempered the Bartokian tuning to match Western tuning while retaining its character." John Penny has been too prolific a composer to catch up on his "legacy" with just one CD. Urban Tumble is just the beginning. "I want to tackle the ethnic jazz collection (Brazilian and other textures), then decide between the other categories that include the Euro Jazz set, a funky (non-fusion) jazz set, and a closer-to-classic-jazz set. I need to press all pre-2K songs into one of those four categories to be able to move into the here-and-now...This all happened because of my background with loving most all music. 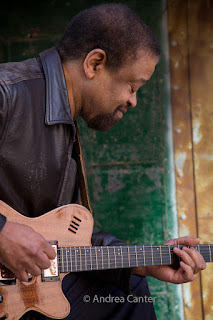 Your message can come through a samba influenced piece, a classically influenced piece, a blues, anything else, and I love free music to address those very immediate interactions with the Cosmos. The only thing that limits your compositional or improvisational soul is your choosing to do so." We can begin to interact with John Penny's Cosmos by listening to Urban Tumble, and whatever treasures he releases next. Note CD release scheduled for January 17 has been postponed; new date to be announced soon. Visit John Penny's website at www.johnpennymusic.com.